News from LMCU: It’s home fix-up time! 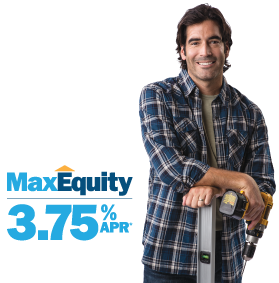 MaxEquity is the perfect way to affordably finance renovations, repairs and appliance purchases. With springtime allegedly just around the corner, and home values on the uptick, now is the time to take advantage of your home’s equity. LMCU’s MaxEquity program is the perfect way to affordably finance home fix-ups, improvements, appliances or high-interest debt consolidation. And you can pay off the balance on your own terms. *Annual Percentage Rate (APR) as of March 17, 2014. The rate is variable, tied to Prime, and will not exceed 12.00% APR. Rate assumes autopay from an LMCU checking account. Your rate may vary depending on your specific credit terms. Home equity lines of credit and loans are only available for homes located in Michigan. †Check with a tax advisor.